Chronic shoulder dislocation is a very common shoulder condition in people with highly intense and activities with repetitive motions. It can also occur as a result of a sudden injury and trauma to the shoulder. The cause of the chronic dislocation is the shoulder instability and weakness to keep the head of the upper arm in the shoulder socket. Once the shoulder is dislocated, it becomes extremely vulnerable and prone to new dislocation episodes, leading to a chronic shoulder dislocation. Arjun Pablay visited Manhattan Orthopedic Care due to an agonizing shoulder dislocation pain that had been troubling him for many years. 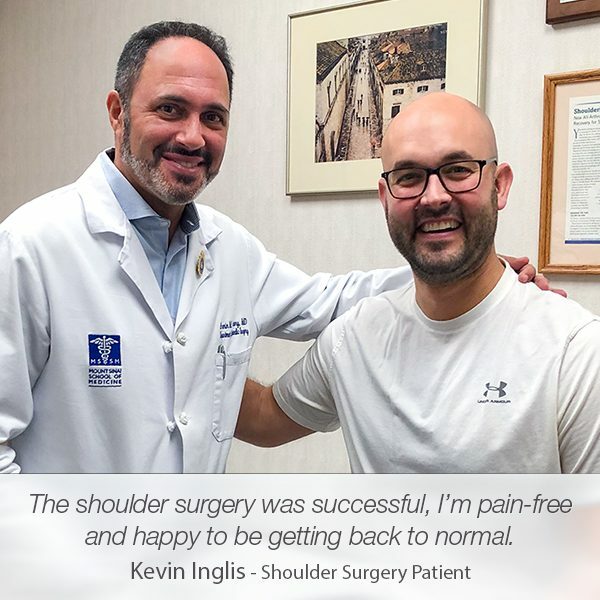 After his appointment with Dr. Armin Tehrany, one of the best shoulder doctors, Arjun finally felt relieved as he found the right orthopedic doctor to put his pain to an end. During the appointment, Dr. Tehrany accurately diagnosed Arjun with a chronic shoulder dislocation. The MRI scan showed a capsular thickening of the acromioclavicular joint and a SLAP tear of the labrum, findings that are consistent with the chronic shoulder dislocation. Untreated chronic dislocation inevitably leads to limited shoulder mobility and terrible pain, which brought Arjun to Dr. Tehrany. As a thoughtful and caring professional, Dr. Tehrany took all the time needed to thoroughly explain the chronic shoulder dislocation to Arjun, and recommend the most suitable treatment. He described the entire recovery process step by step. 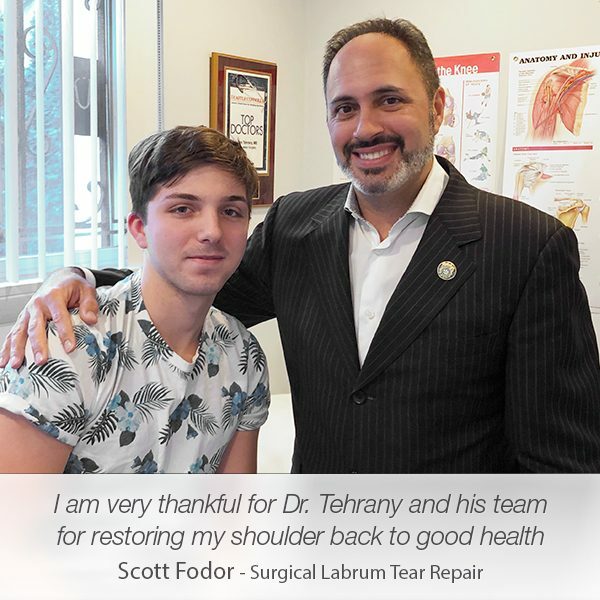 Prior to proceeding with the recommended shoulder surgery, Dr. Tehrany made sure that Arjun felt fully comfortable and at ease with the upcoming shoulder surgery. “Dr. Tehrany and his staff are absolutely amazing. 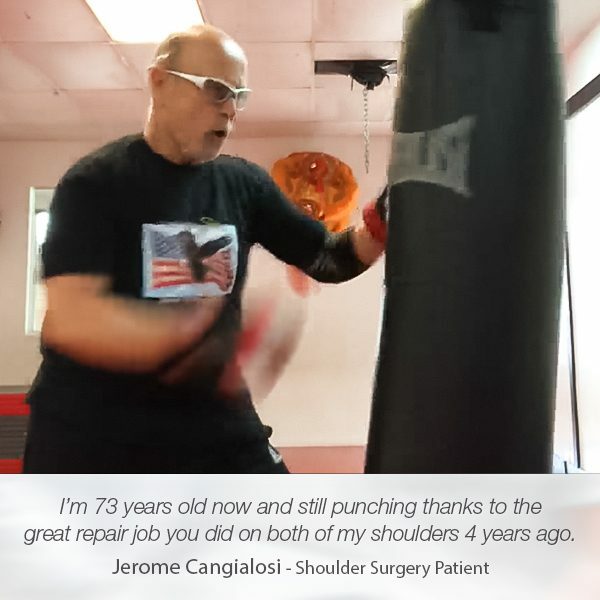 I came to Dr. Tehrany after years of chronic shoulder pain/dislocations. Today, I feel completely recovered. I have been able to engage in activities I long thought I’d never be able to enjoy again. 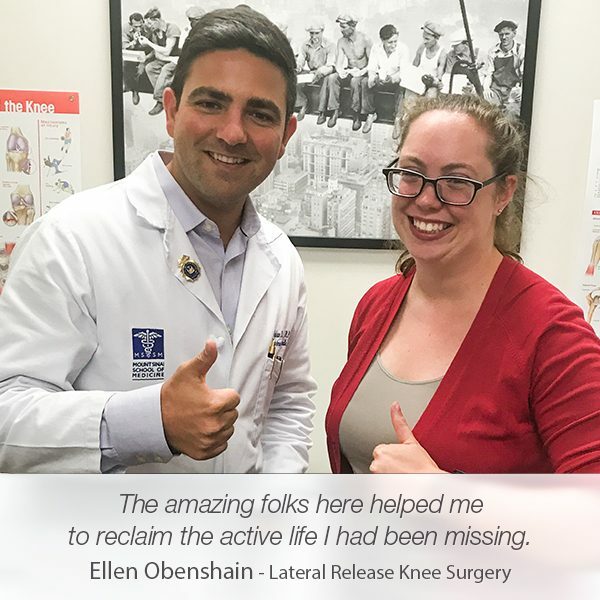 Dr. Tehrany carefully explained the extent of my injury, the procedure I was going to have, and the recovery process and timeline after the procedure. His office is clean, the staff is warm and welcoming, and the billing process was completely transparent and straightforward. The surgery was a perfect success. Arjun got back to his normal and pain-free life in no time, feeling happy and stress-free as a result of his ability to move with no limitations and enjoy his favorite activities.